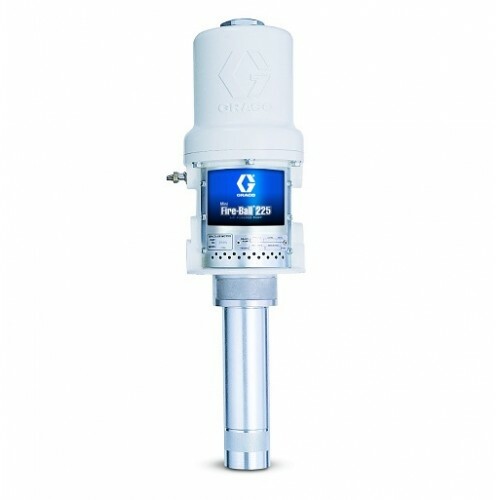 Graco Mini Fire-Ball 225 Oil Pumps are designed to transfer Petroleum and synthetic based oils at a reliable rate. They are built to not only provide a reliable rate of flow, but also the streamlined design leads to an extremely long service life, no matter what conditions it is used in. This extended service life means lower maintenenace costs for you and a higher rate of productivity for the pump.